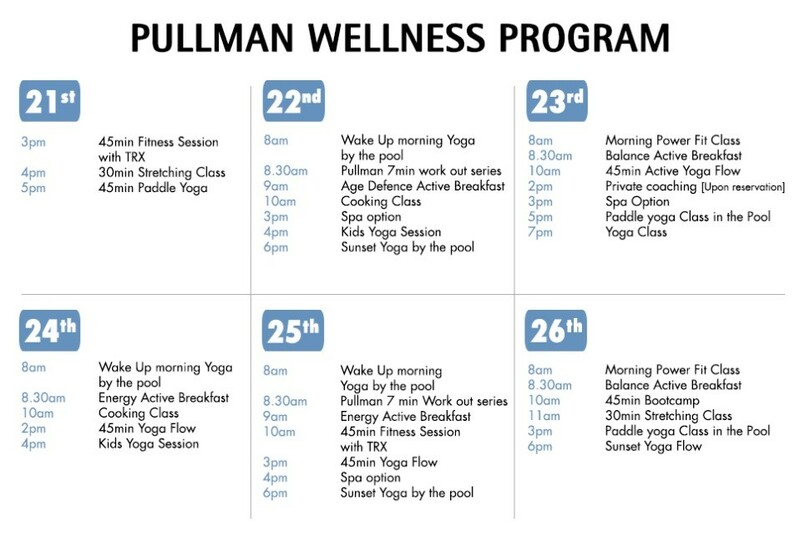 Sarah Hoey, the Pullman Global Wellness Coach will be back at Pullman Dubai Creek City Centre from March 21 – 26, 2018! She will be sharing fitness workout tips, conducting group yoga sessions and nutrition workshops suitable for all ages. RSVP at h2022-mk1@accor.com to book your place now! Limited space available!